Cruz is a Guatemalan living in San Diego. 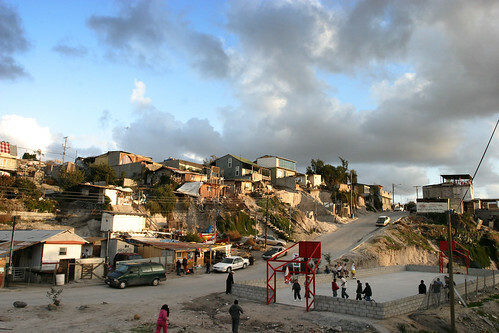 Much of his ideas revolve around the functionality of “third world” urban planning – or lack of planning. Tijuana is an example of emergency development, the intense and immediate demand for city growth caused by massive influx of people. The people meet their own needs first, and then the bureaucracy fills in the gaps with utilities and city services. This process has led to some of the most creative urban planning around. You can read more about his theory in this NYTimes article, Shantytowns as a New Suburban Ideal or read more about the lecture series here.